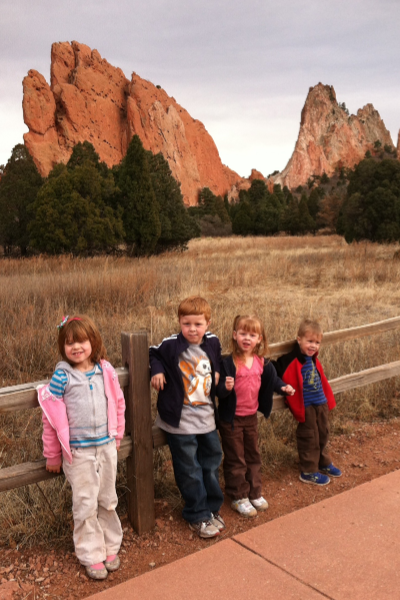 Garden of the Gods is amazing! The traffic was much more than we expected but after driving around a while, we finally found a place to park. We took a trail for a short hike in one part of the park before setting out for the other spots we wanted to visit. The place is really big and you could really spend all day exploring it. You’ll want to use a map of the area to be sure you find all the great spots. 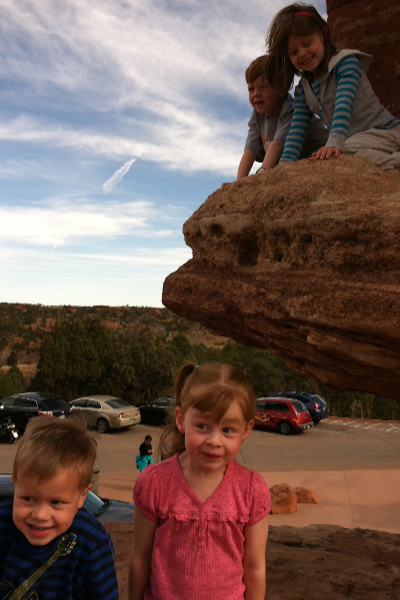 Our favorites were Balanced Rock and the Central Garden Trails. The pictures really don’t do it justice – it is breathtaking and you don’t want to miss it when you visit Colorado Springs. And the kids will love all the exploring possibilities! 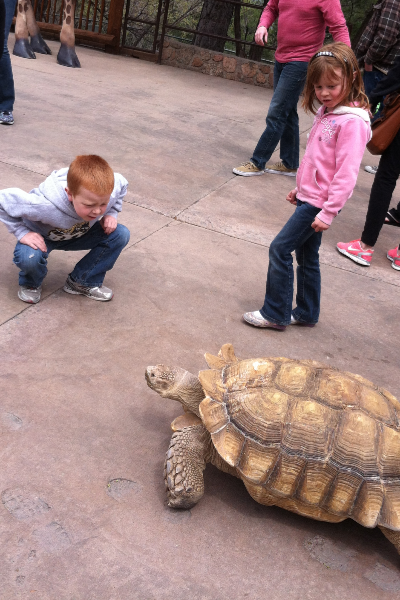 The Cheyenne Mountain Zoo is the best zoo we’ve ever been to . . . not that we’ve been to a lot. But it really stands out as different. It’s built on the side of a mountain, so that really makes it unique. 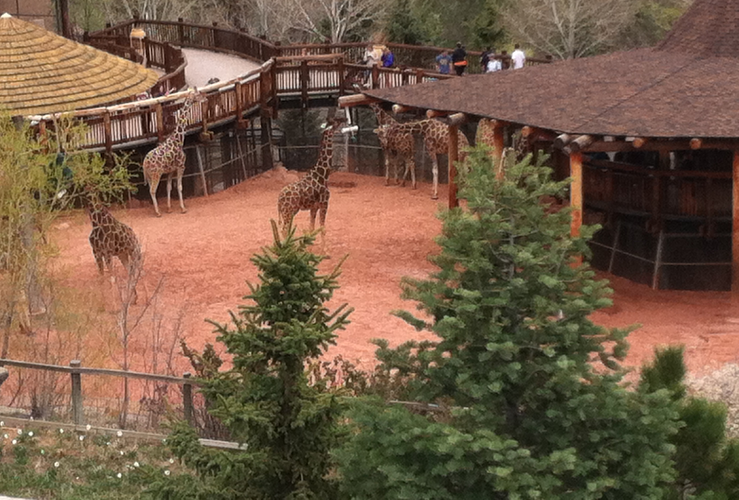 The scenery is beautiful and you walk an incline on switchbacks as you go through the zoo. You’ll want to bring cash along to buy lettuce to feed the giraffes. And I don’t know if this is something you’ll always find, but they actually had one of the giant tortoises out when we were walking by. They encouraged the kids to get up close which was a real treat. 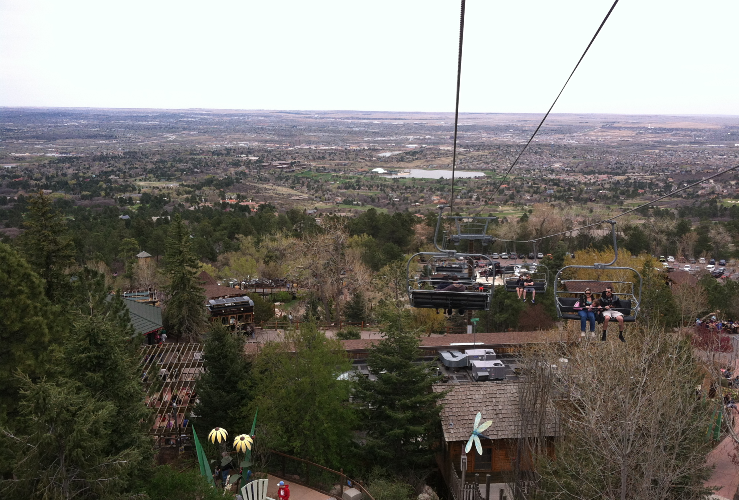 The most unique feature has got to be the ski lift that will take you up above the zoo. I definitely recommend spending the extra money for those tickets. You get to see some of the animals down below on your ride up the mountain and there’s a play and picnic area at the top. On the way down, you’ll see a beautiful expansive view out in front of you. Just hold on to those little ones. 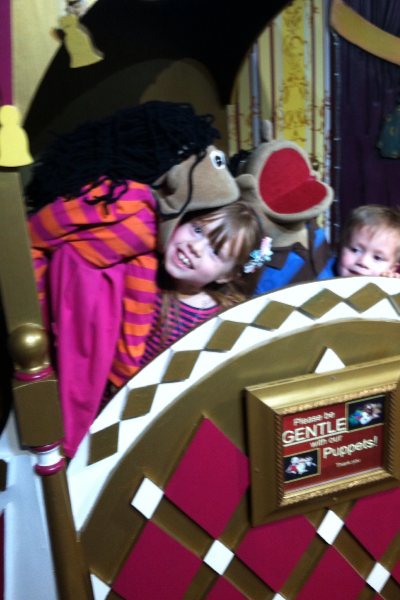 I was as nervous as can be with one toddler on each side, but the kids did great after being threatened to hold as still as possible and stay glued to my side! We were awarned to take a wagon to pull our little ones but they actually did great and walked the whole way on their own. It wasn’t until the end that they got tired and we piled all 3 little ones on the sit and stand stroller. 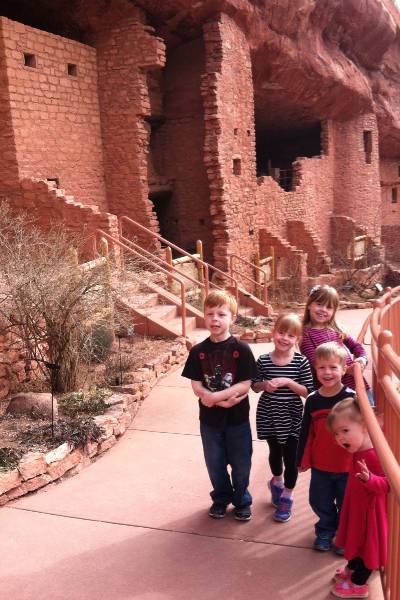 The Manitou Cliff Dwellings are a pretty fun little stop. You can actually go into the ruins and walk around. For our kids who love history it was fun to learn a little bit about the people who lived there and actually get to see what it was like. They have a couple picnic tables and we brought a picnic lunch to enjoy outside. It was a bit chilly for it that day, but hey, it saved us some money over having to buy lunch for our crew! If you need an indoor stop in Colorado Springs, this is a great way to spend a couple hours. The Focus on the Family Welcome Center has a bookstore and a small visitor’s center. But, in the basement is where the real magic happens! There is a huge indoor play area – its like a whole amazing world down there. There are climbing/play structures and a 3 story slide that the kids LOVED, an ice cream shop, a puppet show and radio station area. Our kids couldn’t get enough of it and were so sad when it was time to go. There’s even a toddler area for the little ones. The best part is that, while you can spend money at the bookstore or in the ice cream shop, there’s no cost for the play area. It really doesn’t get any better than that! While you’re there, you should pick up some Adventures In Odyssey cd’s. 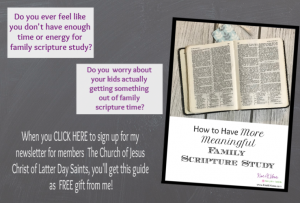 It’s stories told in the style of an old time radio show — good Christian values and fun stories. Our kids love listening to these on road trips! So, this is a pretty cool thing! 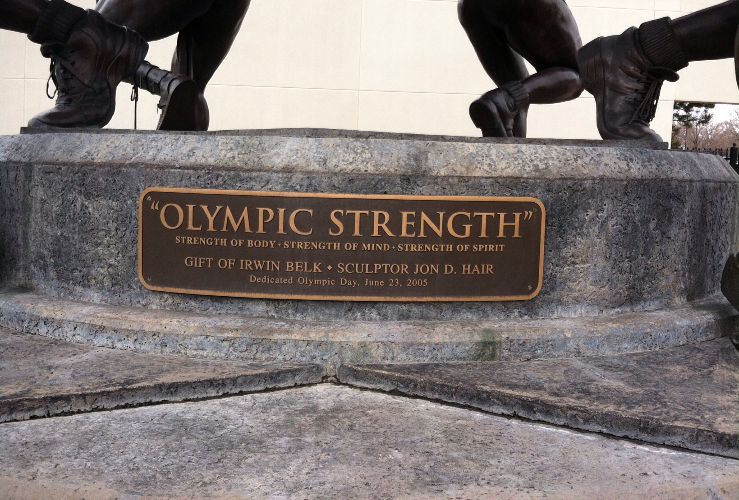 You can go inside a small visitor’s center and gift shop, sit in a real bobsled. They have tours that are recommended for ages 8 and up. 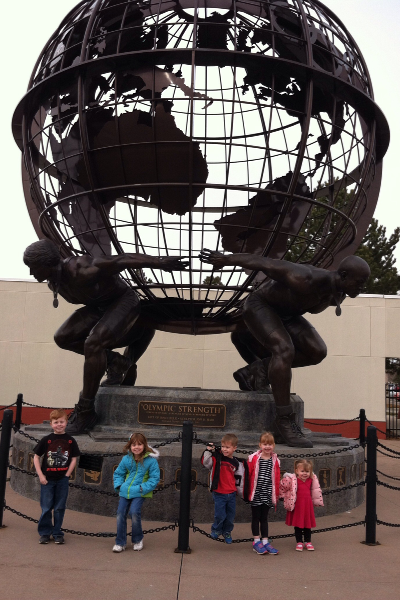 Our oldest was 8 at the time so we chose not to spend the time and money on the tour. 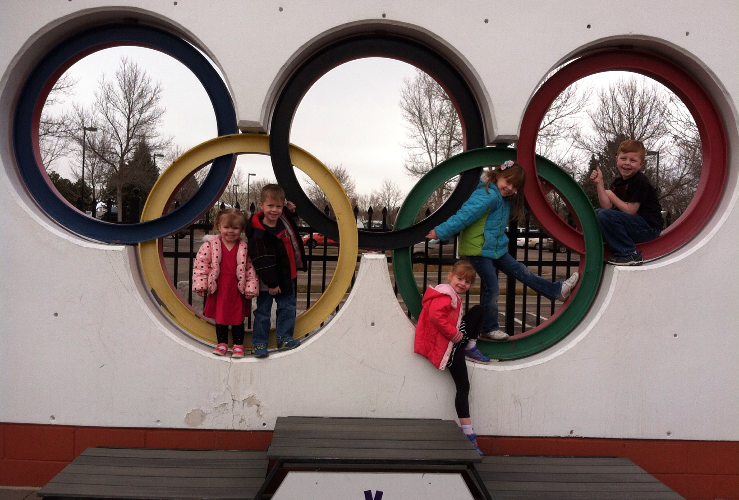 But the kids LOVED taking pictures outside. It didn’t cost us anything and was a fun way to spend a little bit of time if you’re already in the area. 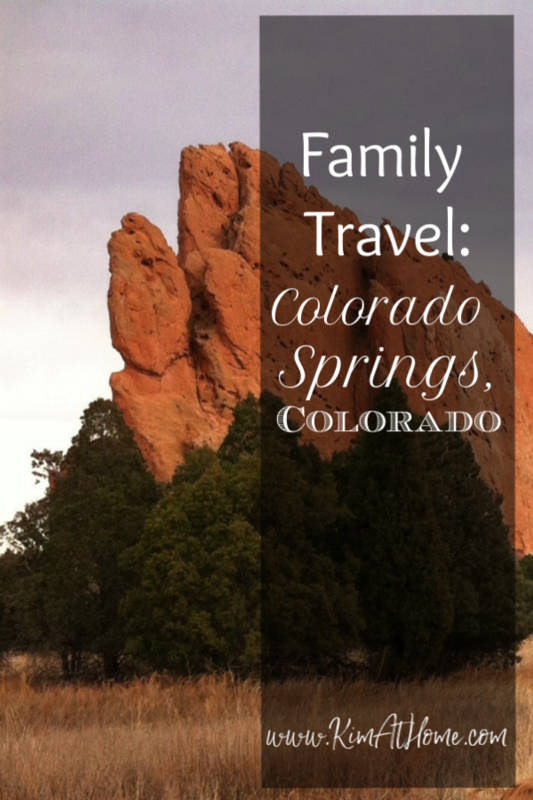 There are so many things to do in Colorado Springs and we never made it to half of them, but this list is a good place to start. Rudy’s is a fun bbq place to stop for lunch if you’re around the Garden of the Gods area. And Pike’s Peak is one thing we’re sorry we missed. 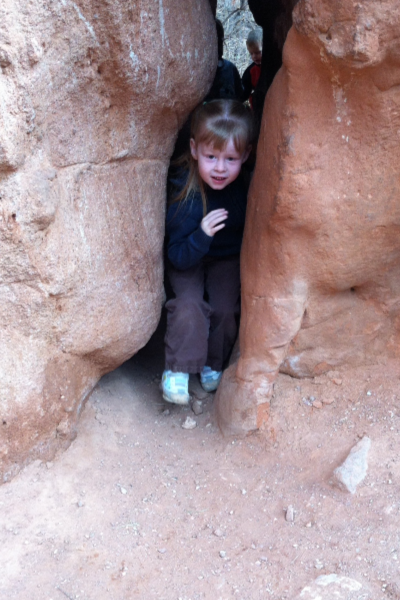 The timing just never worked out for us but if you’ve done it, I’d love for you to leave a comment about doing Pike’s Peak with kids.